I arrived in Prague with high hyped expectations. I’m not sure I have ever heard anything negative said about Prague among travellers, and I think that hype is justified even if you do have to fight crowds a bit for photos. For my stay in Prague, I spent the 4 nights at the brilliant Hotel Fusion which was absolutely fantastic. It has a great atmosphere, a near perfect location, and a style that caters to everyone. Check out the review. For what I needed, the location of Hotel Fusion was perfect. 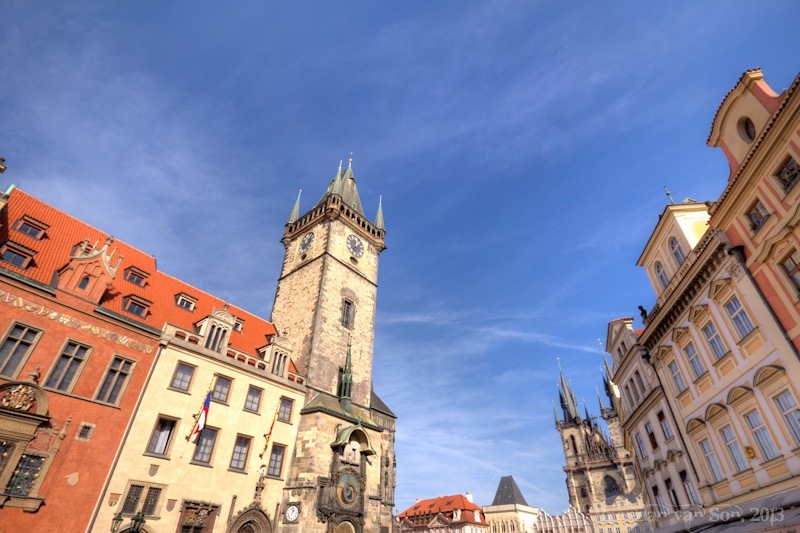 It is situated about half way between the old town square and the train station. It’s about a 5-minute walk to either. 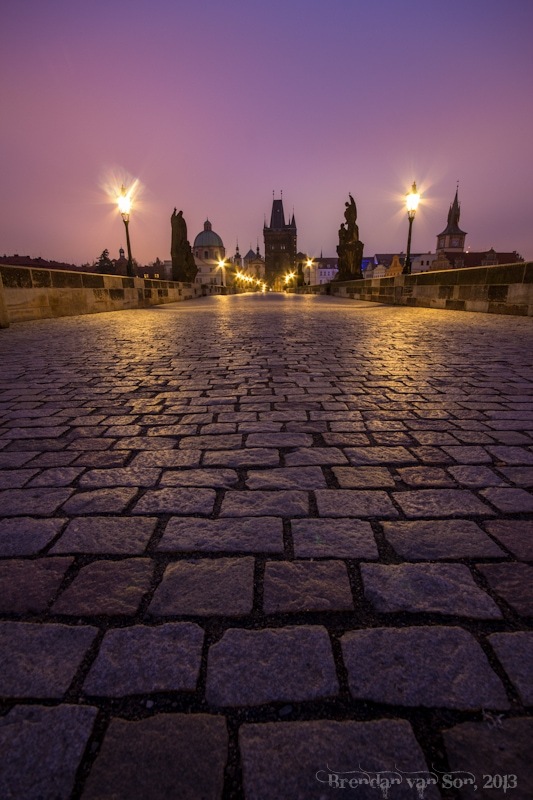 For some, they might prefer a location closer to the river or the Karlov Most Bridge. However, I preferred to be set just outside the crowds of the city, it felt more comfortable. There are a couple restaurants around the hotel, including a soup kitchen and a nice Czech restaurant attached, which means you don’t have to wander far for food. You don’t have to stray too far for a drink either as there’s a club located in the building fit with a revolving bar. The rooms are nice. They kind of take a classic look and mix it with a bit of rock and roll design. The hallways to the rooms are dark and the rooms are marked with neon green lights. Inside the rooms, they’re standard style, but there are also a number of “theme” rooms available for those who like a bit of atmosphere beyond the bed and pillow. Cleaning staff is very good. You have nearly everything you need on site. As I mentioned, there are restaurants and a bar. There are also vending machines selling everything from vodka and beer, to candy bars and condoms. There is WiFi throughout the hotel as well which is as fast as you could ever need. The biggest downside to the facilities of the hotel, in my case anyways, is that there were no laundry available. Since it was the weekend, I basically had to suffer through stinky clothes for 3 days as a result. I even did my unmentionables in the sink of the bathroom. The atmosphere of Hotel Fusion is what sets it apart. It’s a beautiful building and it is quite different than you might expect. 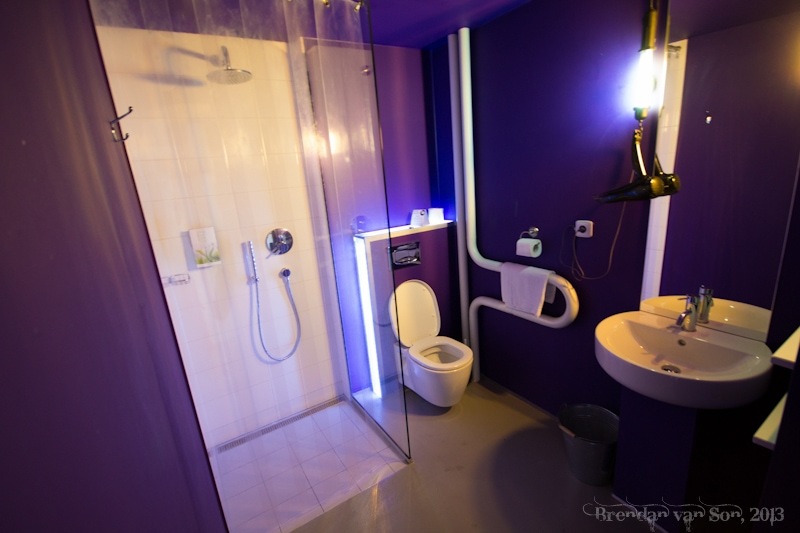 Upon walking in you might think it is a bit of a party hostel, but the majority of the rooms cater more to the higher-end crowd. I guess, the real beauty of the property is that it really does cater to anyone. If you’re looking to book, or just want more information on Hotel Fusion, check out their page on hostelbookers.com for more information.